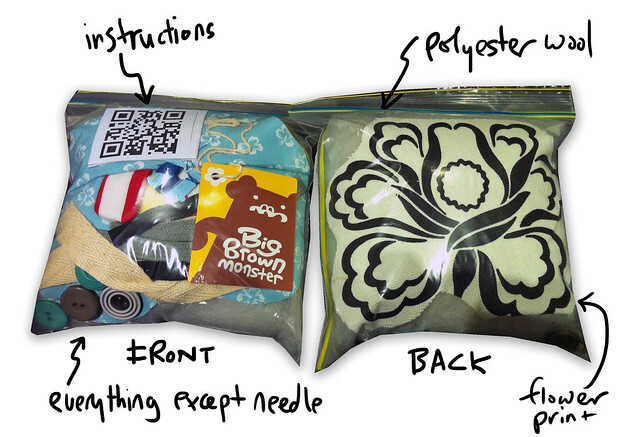 Thank you for purchasing BBM’s DIY Flower Critter Pack. 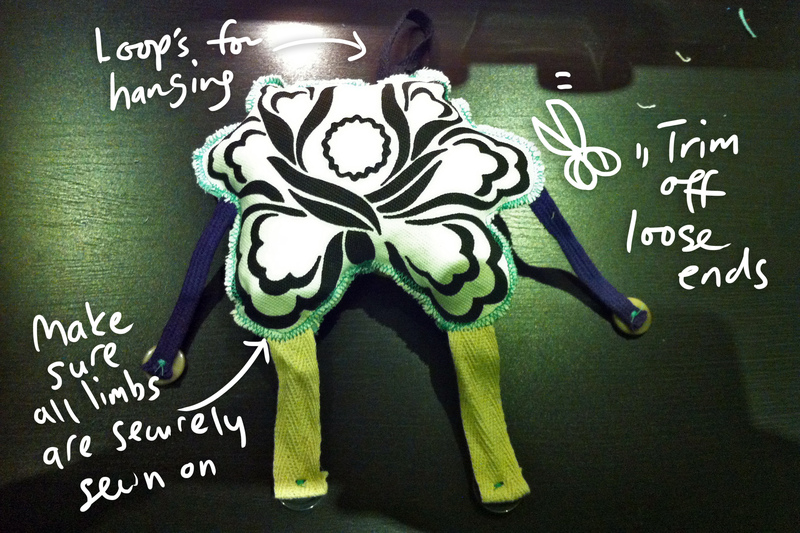 In your pack, you’ll find almost everything you’ll need to make your very own Flower Critter. All you need before you start is to get a needle and also a pair of scissors. Now let’s start! 1. Find the front facing piece. It’s the one with eyebrows already sewn on. 2. 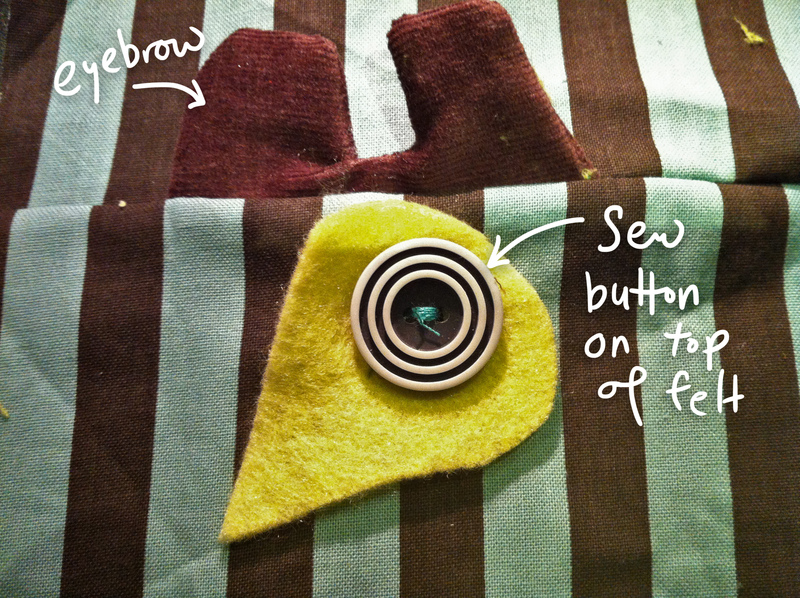 Sew on the eye button on top of the ‘teardrop’ piece of felt. 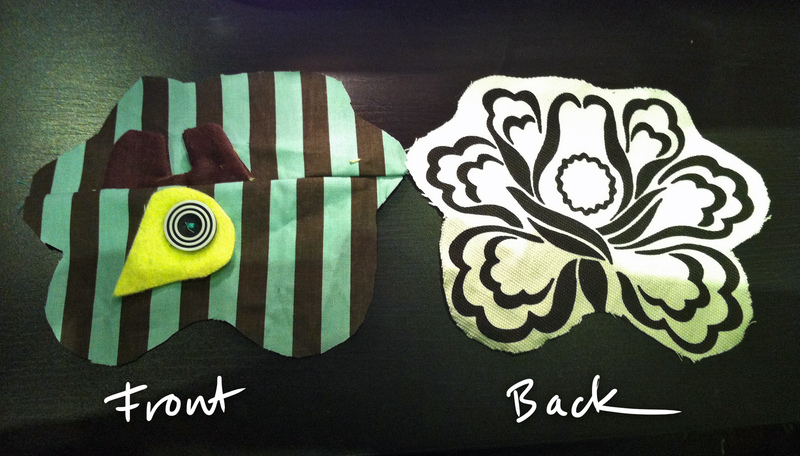 This is how your front facing and back pieces may look like. 3. 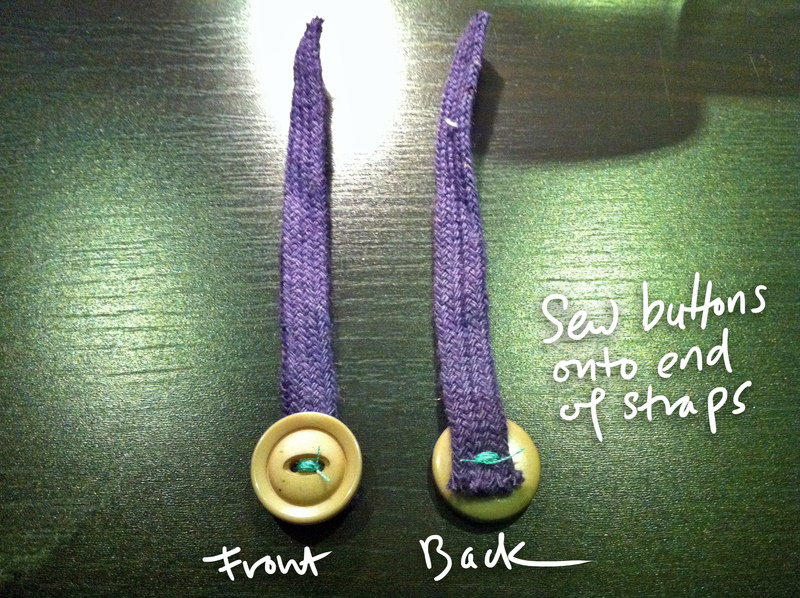 Sew buttons/’feet’ onto the ‘leggy’ straps. 4. 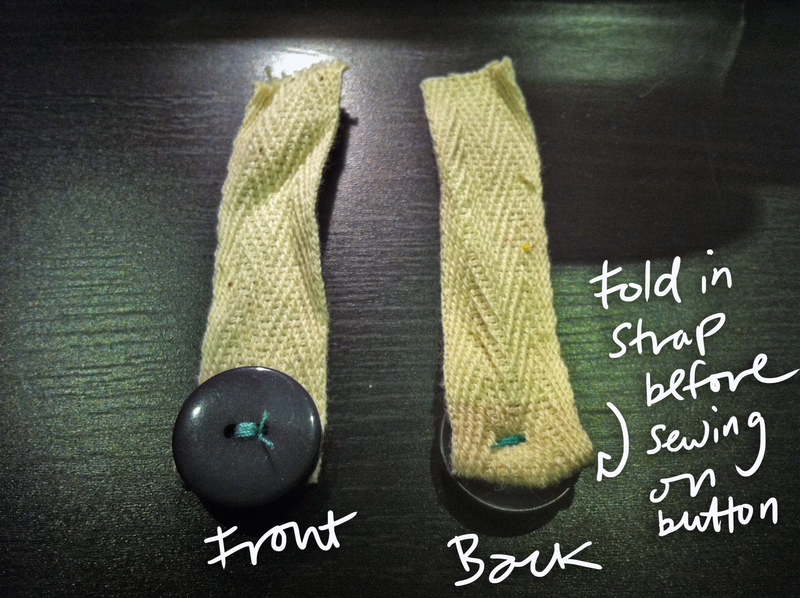 Sew buttons/’hands’ onto the ‘hand’ straps. 5. Align the front facing and back pieces correctly. 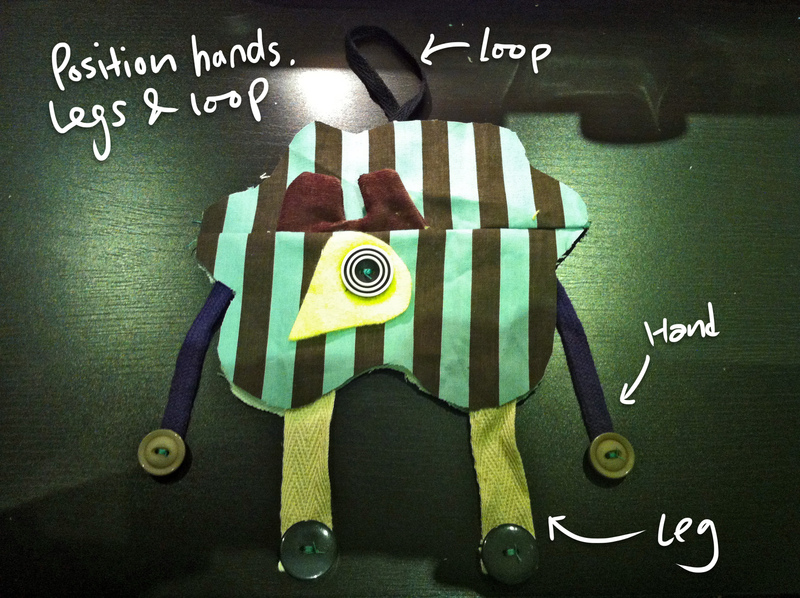 Tack the loop, hands and legs to their suggested positions. You may position them anywhere you like as long as their ends are sandwiched between the front and back pieces. 6. Now you may sew the edges. 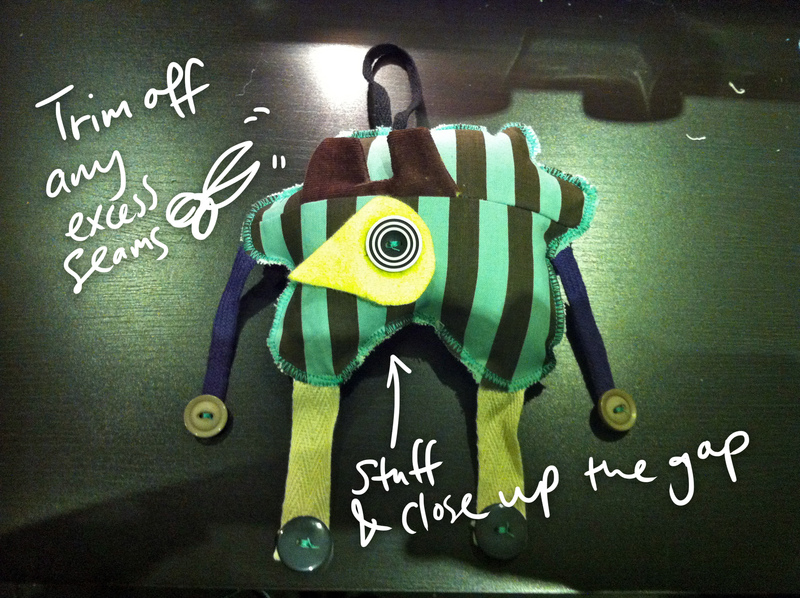 In this example, I am not reversing the fabric as I prefer to give a more prominent outline to the plush. I am using a sewing machine button stitch/applique in this case but you may also use the blanket stitch if you are doing by hand. 7. 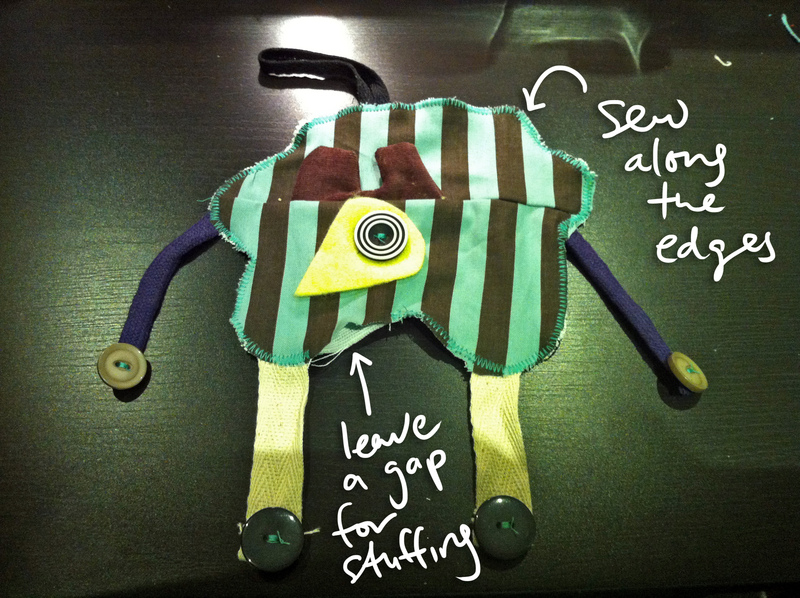 Stuff the plush with the polyester wool provided. DO NOT OVERSTUFF because you want to have some seam to close up the gap. 8. Check both front and back. Trim off any excess seams and loose ends. Make sure that the limbs are securely sewn on and the seams are taut. 9. Mission accomplished! Now you’ve got your very own Flower Critter and you may even like to hang him around your Xmas Tree. Do share your Flower Critter photo on BBM’s Facebook wall once you’ve completed this mini project!